Spending the last week in Napa and San Francisco was one of my favorite vacations of all time and I know Fabian feels the same way. We had so much fun just enjoying each other's company and visiting wineries, taking in the scenery, and partaking in the slower pace of the Napa Valley. We visited Sonoma for a day together on a trip to San Francisco many years ago and I had been to Napa a couple of times with friends and for work, but it was his first time in Napa and our first time there together, so it was great to share some of my favorite places with him and discovering new favorites together. 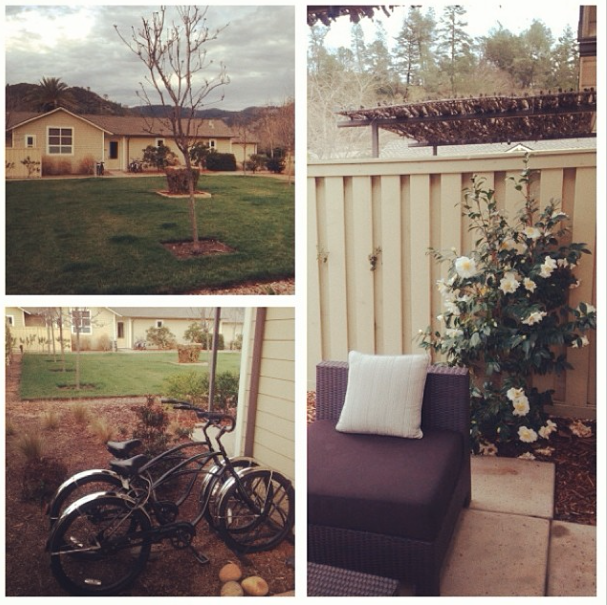 We stayed at the Solage in Calistoga and absolutely loved it. I had been to the property before, but hadn't stayed there. As soon as we started planning our trip, I knew that I wanted to stay at the Solage. Designed by the foremost architect in Northern California, Howard Backen, the Solage is an homage to modern farmhouse style and captures the chic, but casual vibe of Napa so perfectly. We absolutely loved that we had our own private cottage (they call them studios) which was nearly 600 square feet, providing more than enough space. The flow of the cottage was fantastic and we had our own private patio and a pair of cruiser bikes to ride around the property or take into town. Fabian and I both have crazy travel schedules for work and it just happened to work out that we could take the trip in mid-February. I didn't really think about the fact that it was an off-peak time in Napa. I've always visited in the fall when the valley is the perfect picture of the season, but along with that come hordes of tourists and crazy traffic at all hours. Fabian and I are convinced that February is a perfect time to visit! The weather was mild with highs in the low to mid 60s and there weren't many people around making resort amenities, one on one time at wineries, and dinner reservations much easier to come by. Another cool feature at the Solage that Fabian particularly enjoyed was their Mercedes Benz program. They have a fleet of cars available for hotel guests to enjoy at their leisure whenever they are available. 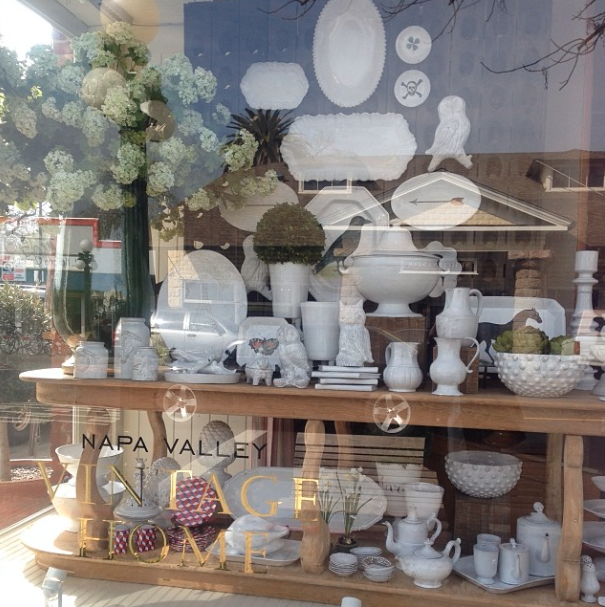 The Solage is in Calistoga on the northern end of the Napa Valley. If I could change just one thing about the Solage, I would move it to the central part of the valley to make it more convenient, but it wasn't a big deal. The drive into St. Helena is absolutely gorgeous and it feels much closer to everything than the Carneros Inn which is on the opposite end of the valley. We loved our stay so much that we realized once we got to San Francisco that we would have preferred to have stayed at the Solage another night or two and maybe skipped the city. I received so many great recommendations from readers and Instagram followers about wineries to visit and I'm happy to report that we checked out a few of the places you mentioned. We started out at Far Niente. The grounds are absolutely beautiful and they have a vintage car collection which was a bonus for Fabian. The tour was the most in-depth of all of our tastings. It was a great experience. Their tasting menu consisted of two whites, two reds, and one sweet dessert wine along with an excellent cheese pairing. We decided to check out Alpha Omega because we loved the look of it from the highway and a reader happened to email me about it while we were there. We really enjoyed our experience and are so glad we went! The tasting was very informal and they were very accommodating. I am not a fan of Chardonnay and half the tasting at Far Niente had consisted of Chardonnay, so I asked if we could swap it for a Sauvignon Blanc instead and it wasn't an issue at all. The gentlemen who helped us were so fun and gracious, taking excellent care of us. We loved several of the wines we tasted there and made sure to order some for home. Swanson Vineyards is a personal favorite and I suspect it will be a go-to for me every time we return to Napa. 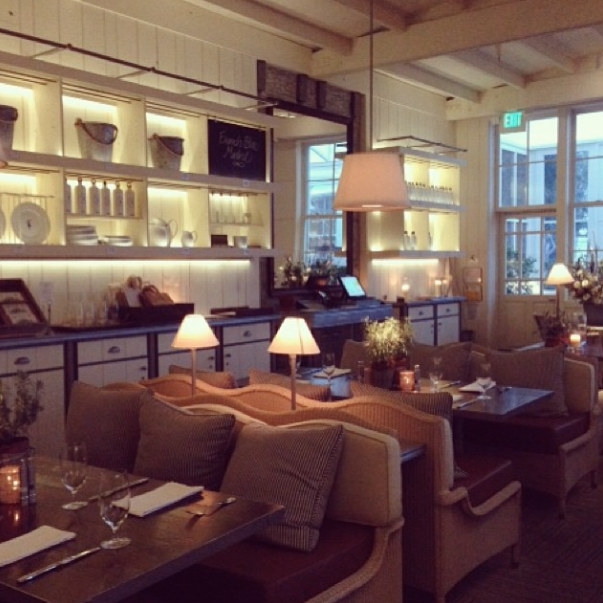 The setting is chic, charming, and whimsical and their wines are outstanding. We had a great tasting there which was also tailored to our liking focusing on red wines and foregoing the whites. We love their wines and again ordered some bottles to be shipped to us along with some of their amazing Clarke's Bark. If you love chocolate, it is an absolute must. Imagine dark chocolate and toffee that has been soaked in their Swanson Merlot and then sprinkled with pink sea salt. It is divine! The attention to detail is evident in every stylish element at Swanson. The last vineyard we visited was Cakebread Cellars. In case you're wondering, I think two tastings per day is a good number. That way, you're able to enjoy each experience and make it to dinner without being indisposed for the rest of the day, if you know what I mean. Cakebread is located in Rutherford, very close to Swanson and Far Niente. As a matter of fact, Alpha Omega is pretty close as well. Cakebread produces delicious wines! We are fans of their Cabernet Sauvignon and Sauvignon Blanc and ordered some for back home. Their tasting was a steal and was extremely generous-- $15 per person for a flight of six wines. Our tour guide, Summer was personable and hilarious and we lucked out with a really fun group. We had such a fun time at this tasting! Cakebread is definitely a must. I have been blessed to be able to travel as much as I have and I must say, I would be hard pressed to find a place with better food than Napa. I have had some of the best meals of my life there. Fabian and I really enjoyed everything we had. I attempted to get us into Redd, where I've dined a couple of times before, but it was totally booked up. Instead, we tried Chef Reddington's newer restaurant, Redd Wood and had a fabulous meal. If you go, you must try the Warm Brussels Sprouts Salad and Mushroom Pizza with Kale and Red Onion. Both items are absolutely divine! 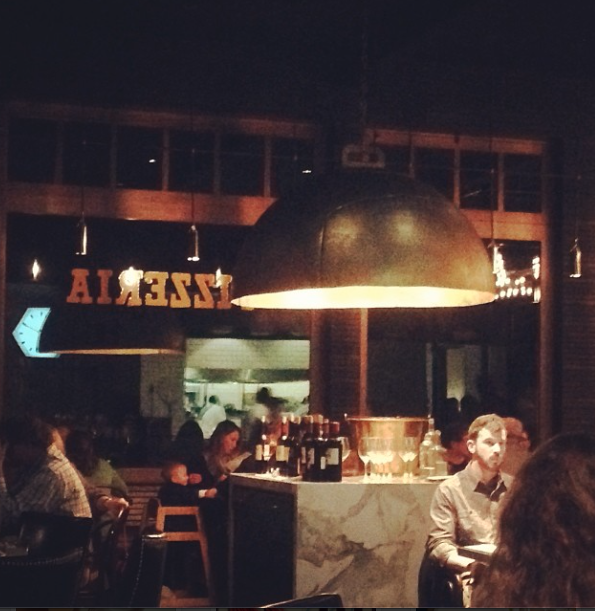 The restaurant was designed by Erin Martin and has a very cool vibe. The next day we had breakfast at Model Bakery in St. Helena-- everything there is amazing. We had their breakfast sandwich on their famous English Muffin and it was so darn good. That day we went to lunch at the Auberge du Soleil which offers sweeping views of the Napa Valley along with great service and food in the most beautiful setting. It makes for a very special experience that I would highly recommend. That afternoon, we popped into French Blue for a drink and a couple of nibbles before dinner. I really wanted to visit because it belongs to architect, Howard Backen and his wife, so I knew it had to be chic beyond belief. Sure enough, the setting is just gorgeous. It looks like the set of a Nancy Meyers movie and I was secretly hoping that Ina Garten would walk in because she certainly belongs in this beautiful setting! I wanted to make it to dinner looking and feeling refreshed after a day of wine tasting so I only had sparkling water, but we ordered their oysters on the half shell and grilled naan which were really good. Napa is filled with so many great restaurants-- you could literally go to a different restaurant each day of the month and have a really good meal each night, so we were a little disappointed with our choice of restaurant the second night. We went to La Condesa and while some of the items we had were good, others were just so-so and the service was really hit or miss, especially considering the fact that there were very few patrons while we were there. Other than that, the decor was really cool, so I would probably just recommend it for drinks and a bite before dinner elsewhere. On our third night, we had dinner at Cook on St. Helena's Main Street per Alexis Swanson Traina's recommendation and it was fabulous. We each enjoyed our food tremendously and really liked the intimate ambiance of the little jewel box of a restaurant. For casual lunches, Gott's Roadside and Giugni's Deli are definite musts in St. Helena. If you've ever been to Napa, then you know that St. Helena is a big draw. It's home to a lot of vineyards, but also has the cutest main street, dotted with art galleries, restaurants, and great shopping. We popped into several stores throughout our time there. Erin Martin is always a fun stop for design inspiration. She is really fearless in her aesthetic, which I respect and admire. On the more traditional end of the spectrum, Vintage Home is also a must in St. Helena. 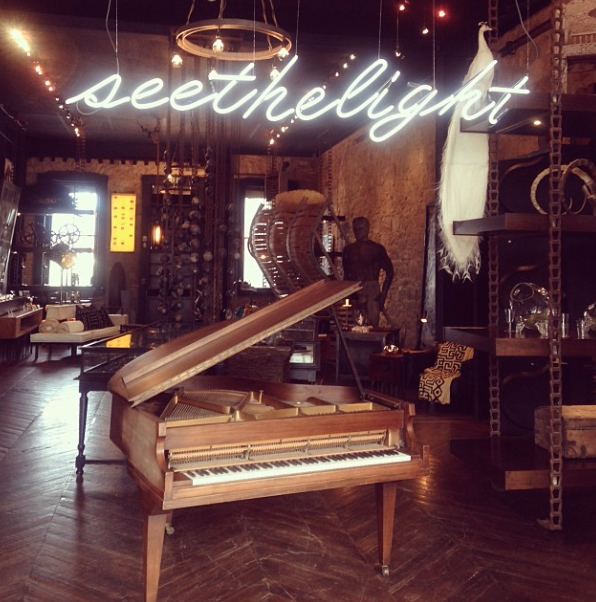 It is the most beautiful shop filled with housewares, decorative items, and chic gifts. I loved the current Astier de Villette display in the window. Another favorite was Acres Home & Garden just a few doors down. 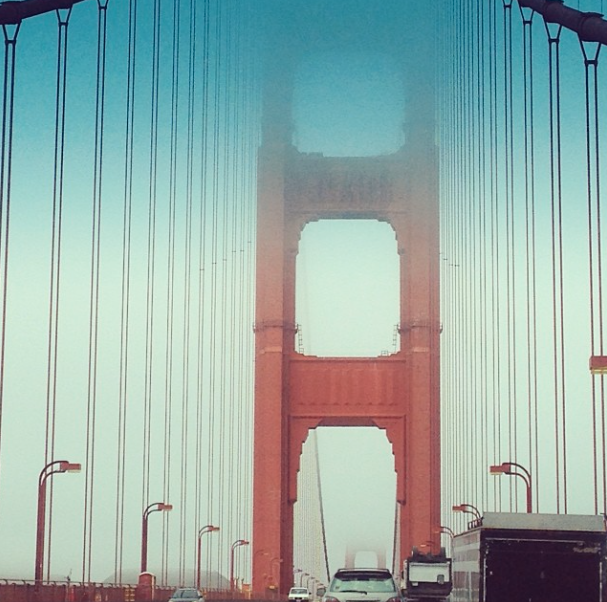 On Friday, we checked out of the Solage and drove back to San Francisco. On our way there we stopped at the Marin Country Mart just off of the 101. We've visited the Malibu and Brentwood Country Marts in L.A., so we decided we should make a pit stop at the Northern California iteration of the chic shopping centers. My good friend, Jeni tipped us off to the shops and restaurants we should check out. We have visited San Francisco several times and while we usually love it, we just weren't feeling the love quite as much this time. I think it may have been the shock of going from pure pastoral bliss in Napa all week to the sights, sounds, and ahem, smells of a major city, even one as beautiful as San Francisco. I think we were just in a state of mind where we needed to decompress and really benefitted from our peaceful time in Napa in so many ways. I even managed to cut myself off from technology for the most part which is a huge and rare coup! I Instagrammed a few times, but probably spent about 30 minutes online over the course of the entire week. All of these things contributed to the fact that we just weren't in a city state of mind when we arrived in SF. We stayed at the Hotel Vitale across the street from the Ferry Building. The hotel was well located and perfectly nice with a comfortable bed and bedding. However, it was not the Solage and I think we may have gotten a little spoiled there. I mean, it's a little hard to live up to private cottages with cruiser bikes, Mercedes Benz loaners, and heavenly amenities and grounds. On Valentine's night, we enjoyed a delicious four course dinner at Isa in the Marina which was amazing. We loved everything we had and enjoyed the romantic, intimate setting. The service there is so attentive, too. On Saturday morning, we went to the Farmer's Market at the Ferry Building and then met up with our dear friends who drove down from the Sacramento area to see us. We had an incredible lunch at The Slanted Door which overlooks the Bay Bridge. I can see why it is a must for our friends whenever they are in SF. On Saturday night, we had what might have been our favorite dinner of the entire trip at Tyler Florence's Wayfare Tavern. They seated us at the chef's counter which was really cool because it was like having dinner and a show. It's incredible to see the attention to detail the chefs put into everything they do. The restaurant was pretty packed and lit for ambiance, so it was difficult to get good photos, but the design is SO good. The moldings are painted in the most perfect grey-blue tone. I also loved the stair runner pictured above. I realize that I am getting a bit long-winded here, but there were so many wonderful things I wanted to share about this trip, especially since many of you have reached out to say that you are planning upcoming trips to Napa and SF. I have one last tidbit to share. Have you used Uber? We don't have it in Houston, but I downloaded the app in San Francisco and am so glad we did. Taxis are notorious for being a pain in the neck whether you're in New York or anywhere else. Sometimes, hailing a cab can take forever. I've walked so many blocks in the rain during a taxi shift change in New York when it felt like no cab would ever stop for me, so Uber is amazing in my eyes. You download the app, literally click a button to select the type of car you want-- traditional taxi, UberX (Prius or Small Car), Uber Black, or Uber SUV and in less than 5 minutes, your driver is there to pick you up. Prices are typically comparable to that of a regular taxi and the drivers are so polite and drive spotless cars. The whole experience was so pleasant that Fabian and I are hooked. I just had to share! All in all, Fabian and I had the most amazing time in Napa and are already dreaming about when we'll get to go back. It was a lucky coincidence that our trip fell during Valentine's Day because the whole week was so relaxing and romantic. It felt exactly as a vacation should! So glad you had such a great time in Napa, and I'm glad you enjoyed Cakebread so much. My husband has been a member of their wine club from the beginning (his member number is under 100) and they always treat us very well. We love Far Niente, too! Sounds like you need to visit our California wine country more often! Thank you for posting all of this! We're just starting to plan our trip for July and this is so helpful. Thank you for sharing, Paloma. Napa and Sonoma are high, high on my travel list. And I've only read excellent things about the Solage.